Candy Toys are toys/model kits packaged with a piece of candy or gum and sold in supermarkets. Usually there will be 3-5 different models in the same box design so you have to hunt through the racks to get the one you want. I used to buy these as a kid from Japanese supermarkets. The candy is arbitrary really because the main event is building the toy inside the box. And they look great: they are articulated and can be split into their component parts just like their TV and toy counterparts. I also think that they visually strike a nice balance between looking like proper mecha and the ‘guy in a plastic robot suit’ look. Thing is though, Bandai has a habit of dropping a line abruptly. Just look at Super Robot Chogokin, which promised to be articulated non-transforming (mostly) metal robot toys. They also released a few Super Sentai robots for this line. But the line has stopped years ago after just releasing 4 of them. I’ve always liked the idea of having a display of Sentai robots in my collection but I think the chances of Bandai releasing all of them as Super Mini-pla is actually quite slim since there are so many of them (this list I linked doesn’t even include the secondary robots). 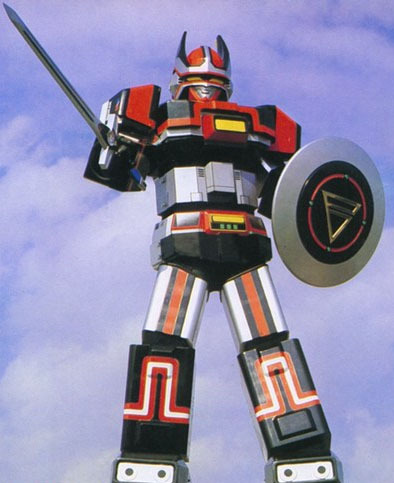 Choudenshi Bioman (Super Electronic Bioman) was one of the first Super Sentai series that I remember. When I was a kid, I’d buy the monthly Televi-kun, a magazine about children’s Japanese TV programs. Even though it was in Japanese, I’d obsess over the pictures. During that time, Choudensi Bioman was the featured Sentai series. The sixth Super Sentai. Centuries ago, the android Peebo and the Bio Robot came to earth from the fallen Bio Star. The Bio Robot showered five people with Bio Particles, which would be passed on to later generations. In the present time, Doctorman and his Shin Teikoku (New Empire) Gear threaten the world. Peebo must find the descendants of the original five to form the Chodenshi (Super Electron) Bioman. It ran from February 1984 to February 1985, totaling 52 episodes. Ranger Wiki has a very good profile on this series. 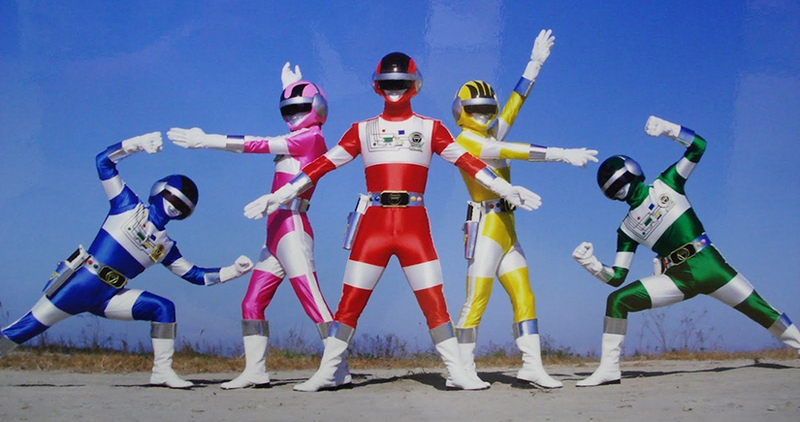 Typical of Super Sentai, you have 5 color-coded heroes in spandex fighting a new monster every week. At the end of the battle, the monster would grow into a giant and the heroes will summon their giant robot (in this case Bio Robo) and beat the heck out of it. Then repeat all over again the next week with a new monster. I remember that sometimes I’d make my Bio Robo into an Autobot and it also beat the crap out of my Macross Valkyries. Good stuff. Bio Robo and Bio Dragon became one of my most treasured items. They also happen to be one of the few complete toys I had left by the time I left Singapore and went to college. My home ended up being rented out. Unfortunately, the tenants broke into my store room and took some items before clearing out the house. Among these items were Bio Robo and Bio Dragon. Bastards.